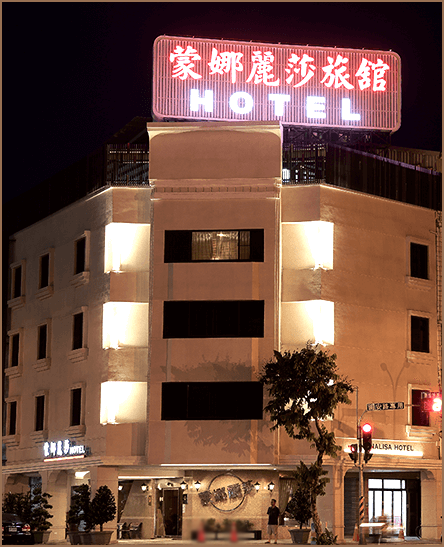 Monalisa De Hotel located at the center of commercial district and communication, near by Hai-An Road, the intersection of Gung-Yuan South Road and Lin-An Road, also a few minutes walk from famous spot “Hai-An Art Street” and “Tainan Flowers Night Market”. The hotel has been renovated recently on its exterior appearance and interior accommodation, as our concept of innovation and consideration, we hope to provide customers a more comfortable and cozy space. We provide elegant and cozy rooms, all equipped with five-star sanitary equipment from American KOHLER, German HANSA, the separate bathing and grooming facility could definitely make you feel relaxed. The quality of service and the hygiene of the hotel is evaluated as superior class, and the fireproof construction is built as national standard. All the rooms contains free ADSL and Wi-Fi, let our elegant style and the cozy feeling ease up your tiredness. 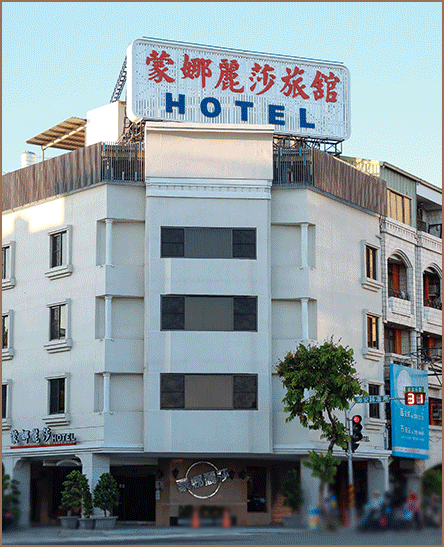 Monalisa De Hotel is conveniently located, during nighttime, there are popular nightmarkets like Tainan Flower Night Market, Wu Sheng Night Market and Xiao Bei Night Market near by for you to explore various kinds ofTaiwanese local delicacies. There are also seafood and BBQ place on Hai-An Art Street, which is an ancient street with artistic decoration. Tainan as a ancient city, its historical monuments are the must-going spots, such as Provintia, Zeelandia, Eternal Golden Castle, Koxinga Temple, etc. Have a taste of best-known delicacies in Tainan like the Chou's shirmp roll, AnPing bean jelly, Eel Noodles, Coffin bread, or the street famous for the food GuoHua Street, etc. It’s only few minutes drive from the hotel to all the spots above, about 20 minutes drive to the latest ChiMei Museum.